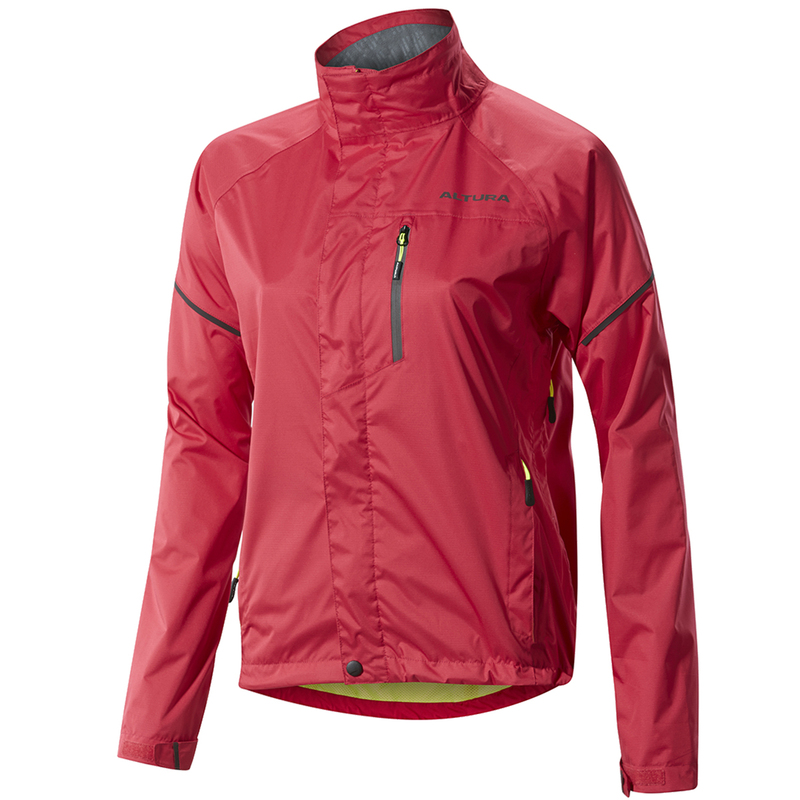 The Altura Nevis III women’s waterproof cycling jacket offers excellent protection in wet conditions, with a water repellant zipper and a looser fit making it perfect for mountain biking or for commuting to and from work. With a relaxed women-specific fit the Nevis III allows you to move freely on the bike keeping you protected from the elements without feeling restricted or uncomfortable; this capable waterproof cycling jacket is made from Altura Shield™ fabric which has been engineered to provide protection from wind and water whilst still offering high levels of breathability. To prevent overheating on the way to work Altura have included Altura Draft Venting ™ consisting of strategically located venting zones which help increase breathability whilst in the riding position; with two zippered hand pockets and a chest pocket as well as a rear pocket there’s plenty of storage space to carry and quickly access your valuables.